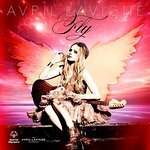 The Avril Lavigne Foundation was created by Avril Lavigne in support of children and youth living with serious illnesses and disabilities. Lavigne looks for input from fans and other organizations in guiding her Foundation’s development and direction. Google trends for "The Avril Lavigne Foundation"